Ashley Graham is an American model. She has appeared on magazine covers such as Vogue, Glamour, and Sports Illustrated. Graham has become an inspiration of body positivity for many women across the world. In 2016, she became the first size 16 model to be on the cover of Sports Illustrated. Glamour described her cover as “bringing size acceptance into the mainstream”. She has held TED talks and appeared at schools to talk with young girls about loving their bodies and telling them that they don’t have to change for anyone. She talks about how she grew to love all her curves and why other girls should love theirs. She has also changed the fashion and modeling industry. Magazine covers, stores at malls, and advertisements now show women of all different sizes. “The impact she has made on the fashion industry is that she’s showing women that fashion and beauty isn’t a size. That it isn’t just for small and skinny girls; fashion is for everyone. 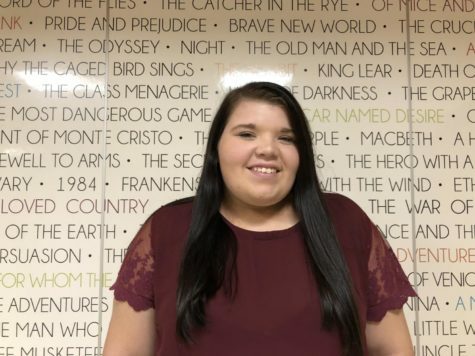 It’s really empowering actually because she’s even changed how I see myself,” said Breanna Drapeau, a senior at Naugatuck High School. Everyone deserves to feel beautiful in their own skin and Ashley Graham is determined to make sure people do.